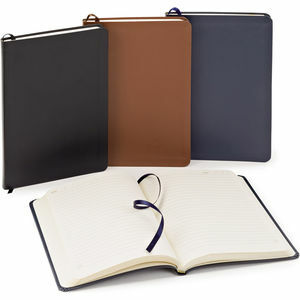 Refillable notebook with front document pocket. Interior business card pocket. Elastic pen loop. 80 sheets of cream lined paper. Wenger gift box.